NLSAR have a hard working committee which over the last several years have led to an increase of resources through successful community grants and some sponsorship. This has included going throughout the community talking to and presenting a slideshow presentation which has resulted in purchase of some resource which include Swazi protective outdoor clothing, other hi-vis clothing, Garmin Mapping GPS’s, and a caravan. It is still interesting to note that currently (Aug 2008), approx. 99% of the specialist cliff/cave rescue squad members gear is personally owned. This is an area, the committee are looking to address in the very near future. Support from those organization listed on our ‘home’ and ‘donations’ pages are crucial to NLSAR effectiveness in search and rescue operations. Northland SAR has decided to implement a WEB2SMS system for improving response times, communication and generally making life easier in the Northland land search and rescue scene. This system allows us to login to a web site and send one message to everyone cellphone at once, this greatly reducing our call out time, and the time (sometimes up to 20 minutes), some of us spend phoning people. 99% of our members now have and/or carry a cellular phone around with them most of the time. It was decided it was more cost effective to move to a cell-phone based system as opposed to going to a pager system which then meant similar cost, and another piece of equipment to maintain and carry. Shortest CALLOUT ?? ‘ever’ in Northland SAR history…! In late February 2009, what amounted to what must have been the shortest call-out ever (under 2 minutes) came about when an elderly gentleman in his 70’s went missing from an Waipu rest home. 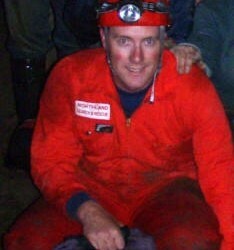 Another great weekend out at Waipu caves for the annual caving trip. The team was made up mostly of Auckland SAR, Northland SAR and a few extras that came along for the weekend. We hope everyone had a great new year and xmas break, and a huge thanks to those that where able to help out on Xmas and boxing day with the three callouts/Searches we had. We have a new members person to help new people get through the training process and keep everybody in the loop. TRAINING DETAILS – Read Full Details here. As Glenn, Kevin (NLSAR management) and Police SAR S/Sgt Metcalfe & Sgt Neil Pennington were about to leave the Tarewa Road SAR HQ site, the initial report came through Police Communications about a ‘plane crash off Urettiti beach near Ruakaka. Due to extremely limited information, and possibility of escalation, S/Sgt Metcalfe requested that Glenn & Kevin also respond to this incident. Boxing DAY SAR callout resulted in the missing party being found while search and rescue were responding. Tomarata (Te aire Point) Callout – Two females were overdue coming back down from the Te aire point from having a picnic. Located safe & well. NLSAR train every second Thursday evening of the month. These sessions vary considerably and practice skills include Navigation using Map & Compass, GPS, radio communications, search methods, tracking, first aid, caving, and rope skills. In addition, there is at least one full weekend annual search and rescue exercise (SAREX) and several SARINZ weekend training courses. Every member of NLSAR are expected to become proficient with an accepted set of base skills of a standard, and over time become SARINZ certified in Tracking (Track & Clue Awareness), Search Methods, and Outdoor First Aid as a minimum. This is typically at no, or minimal cost and the SARINZ modules count towards ‘New Zealand Diploma in Search’ qualification. This is to be certain that our members have the knowledge, skills and experience required to effectively participate in a search or rescue operation and can therefore be relied on to operate efficiently and safely. Northland Search and Rescue (NLSAR) are always interested in talking to people who may be keen to join us, support our group, or even promote who we are. Prospective members are generally people who are over the age of eighteen years old, have an interest in the outdoors, have some level of fitness, a desire to help others, be able to work as part of a team, and above all, have values which include integrity, and honesty. There are a limited number of other support roles which does not require quite so high a level of fitness. NLSAR operate 24/7 (24hours/day 7 days/week), frequently in stormy arduous conditions in the middle of the night. NLSAR are always keen to talk to those that are interested in supporting our quest to help others & save lives. We are a professional unpaid, not for profit, volunteer based search and rescue group that provides specialist skills to assist NZ Police save lives in any conditions, anywhere, anytime within Northland. We recognize those who support us by promoting them whenever we can. Our team are the ones that frequently appear, do the job or task, and then disappear without recognition especially in the middle of the night in a storm. Our focus is on a quick successful resolution in the best way we can.